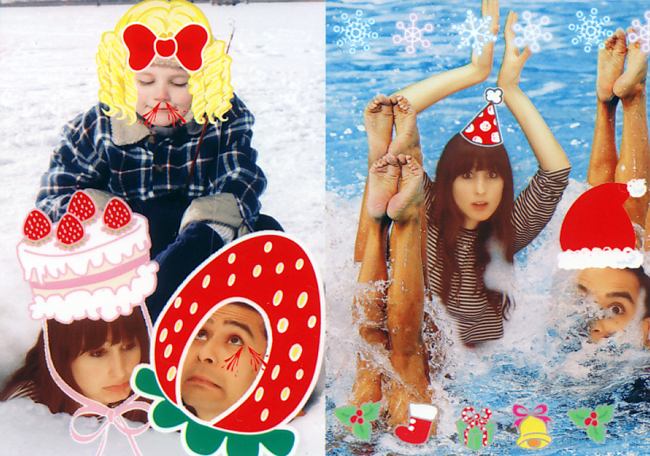 Did you think we had give up our crazy photo booth habit? Well fear not, lovers of weird stuff. 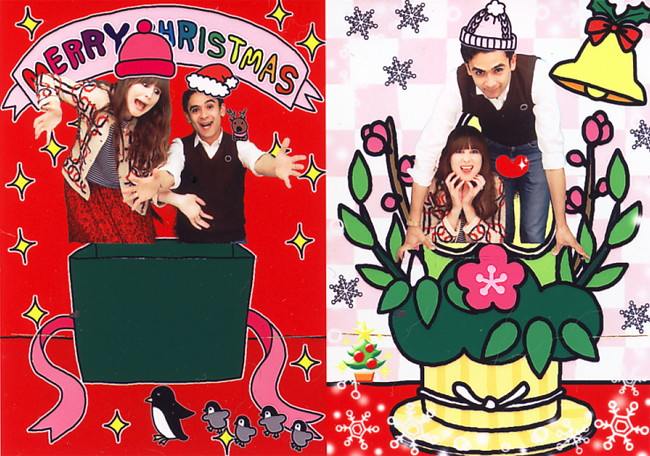 We just had a little break from the purikura so that it'd be that much more fun when we went back. 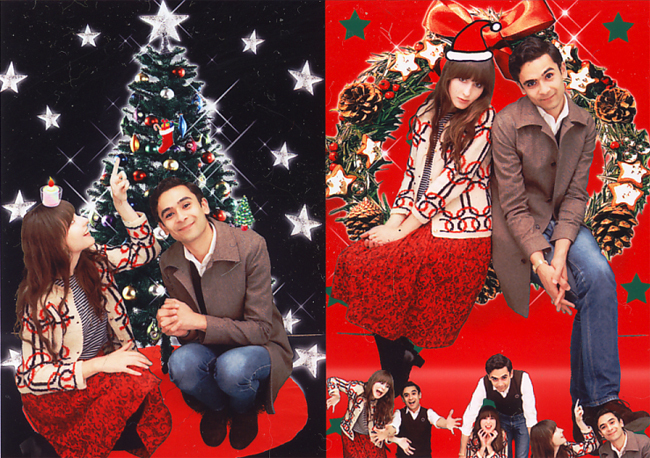 And you can imagine how totally beyond excited we were to see that there were special holiday backgrounds! What what what! 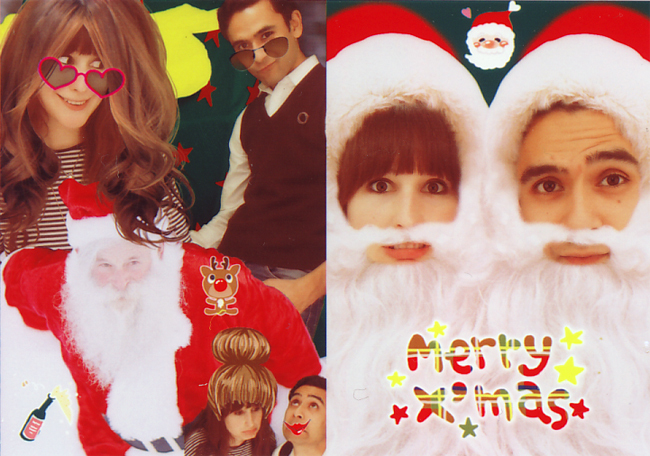 I'm tempted to send some of these out as Christmas cards but I'm sure we've scared enough folks already. these are amazing! where did you do them? i hope somewhere in SF so I can hit it up. I've got to get my man in one of these booths! I especially like the sad strawberry-cake-hat one. Bwahahahaha! 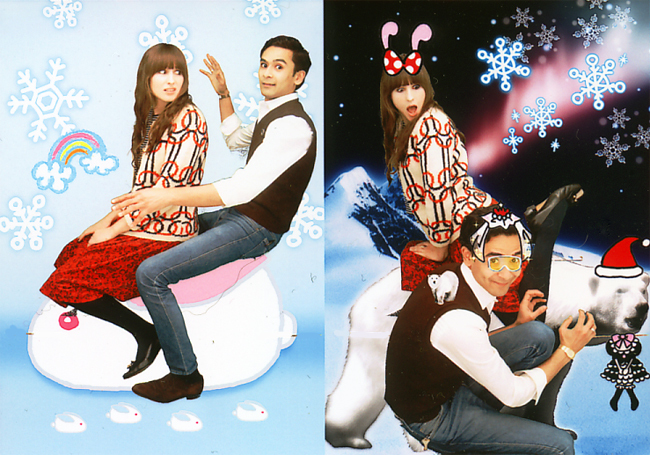 I wish I had a purikura photo booth in my house. 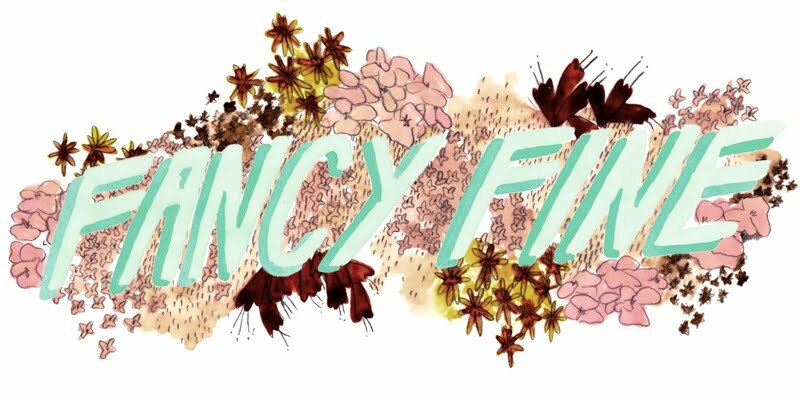 Can you imagine what fun parties you could have?! With that and a karaoke machine, I would never leave the front door ever again. I've decided that you two are the best couple ever, and everyone else should just break up because they'll never be as awesome as you. FINITO. Epic!! I particularly enjoy the polar bear on his shoulder at one point! hahahaha! these are HILARIOUS! def better than the old standard family in front of the fireplace pics! AHHHH WHICH MACHINE WAS THIS?!?! Can I come spend Christmas with you guys? !